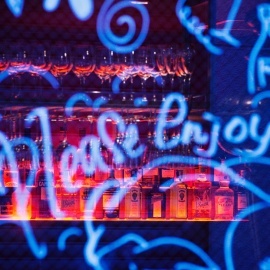 In a world full of creators, it takes a special talent to be an ‘originator.' Originate Clothing is for the makers. The doers. The wearers. It's for those who are inspired by the journey of the hustle from start to never finished. 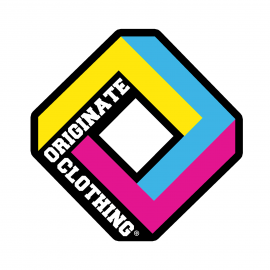 Originate Clothing™ is street wear for creators in the art & hip-hop cultures. We are inspired by the spirit of the artist, the creator, the originator in you. 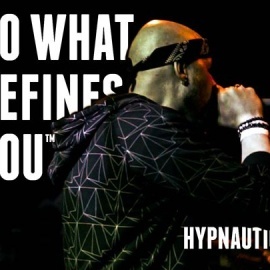 Pushing the community and the culture of your chosen passion is what being an ‘originator' is all about. And all we ask, is that you Do What Defines You™. Enter the face of the brand, Panders. Because of his positive spirit, clear balance, and colorful persona, anyone who wears the clothing with this logo carries the vibe of living out your dreams. We all have passions and Originate Clothing is meant to stoke the fire within that passion while making clothing affordable and accessible for all who are chasing their dreams. It's not what you're born with — it's what you use to grow your story. Wear Originate. The hustler in you just got more stylish.